Brasília ended on Friday its water rationing after more than one year and five months. The measure was in place due to scarce rainfall in the region in recent years, but the population's efforts to reduce water consumption helped to recover the level of key regional water reservoirs Descoberto and Santa Maria. 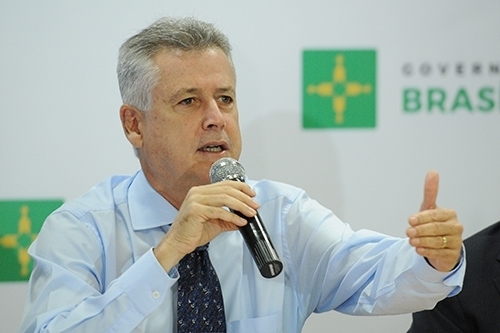 "Much of the improvement is the result of a joint effort, focused on a tripod of [government] investments; reduction of consumption by the population; and collaboration of farmers," said Rodrigo Rollemberg (pictured), federal district governor. Brasília's government is investing 520mn reais (US$132mn) in projects to mitigate effects of droughts in the future, including the reduction of water losses. The capital is in the country's center-west, a region with irregular levels of rainfall.